After a great deal of knitting and some patience, I’d like to present the belt pouches I’ve made. 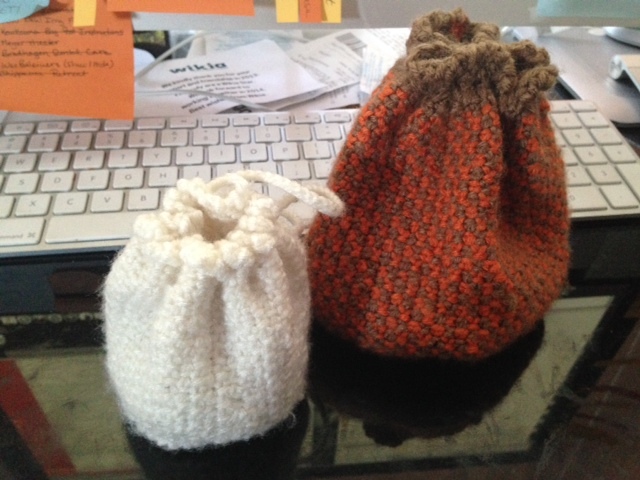 They’re both of worsted weight yarn, ordinary red heart stuff. Both use the Linen stitch, though, which I think looks nice and medieval. The small white one has already been equipped with a small sewing kit, which I’ll show off in a later post when I’m less in a hurry (I have pants to make for Paul yet).